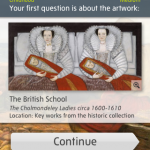 Britain Tate Quiz Trail is a new app from The Connected Set Ltd on behalf on Tate Britain which is free to download. The objective is simple: choose a category from the three available, choose a level and answer 10 multiple choice questions. You receive 10 points for answering the question correctly on the first attempt, 5 for second, 0 for third. You can play at Tate, taking about 45-60 minutes to work your way through the gallery, looking at each piece and answering the questions or off location (as I did). 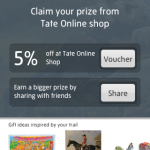 The difference with this app is you can win prizes (discounts) from Tate’s Online Shop! Each category has three difficulties: Easy, Medium, Hard. Charlotte and I found the app extremely easy to use and follow without reading the instructions. The basis is that you look at the art work and answer questions. All of the art is complemented with a description, just as you would see if you were in the gallery. 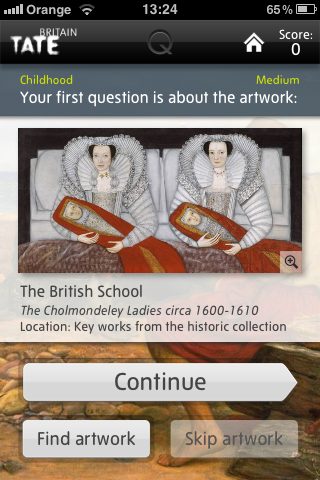 Within Childhood section Medium difficulty, the first question was related to The Cholmondeley Ladies circa 1600-1610 in which you’re provided the location within the gallery. You can zoom in straight away prior to seeing the question to familiarize yourself with the art. 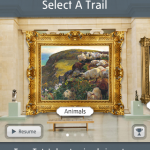 After, your options are to Continue (to the question) or Find Artwork. Find Artwork launched a sub-screen in which you are provided detailed descriptions on how to find the piece within the gallery. This screen builds up throughout the question challenge. Go back to the Art screen, clicking on Continue brings you to an interesting description of the piece. You then have two choices: ‘More about this artwork’ or ‘Show question’. ‘More about this artwork’ is similar to the description you would see if you were standing in front of the art. When you’re shown the question, you are without the art which is a bit insecure at first but soon makes you realize the value of the visual, even if the question isn’t related to the observational skills. 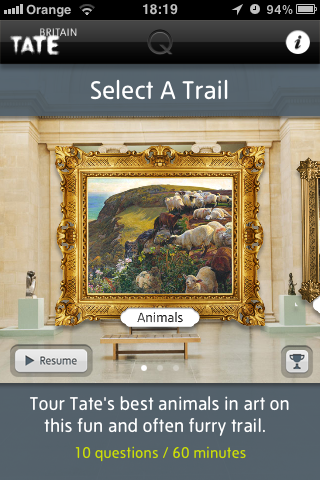 However, you are allowed to go back to the artwork or description and there is even the option to receive a Hint. We really enjoyed the Fun Fact that was displayed each time you scored. They didn’t waste any opportunity to education in a fun way. Charlotte thought the app was very good but maybe 5 questions for children younger than 10 would have been better. 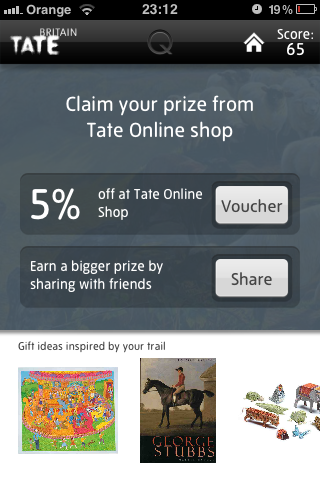 She loved the prize of 10% off Tate Shop but would have also liked a badge or accumulative piece of a puzzle. 4 out of 5 stars. I’m not sure how long the discounts are good for or if it is only for the shop or online shopping. Other than that, I love how it has inspired us to look at art and encouraged us to go to Tate next time we’re in London.